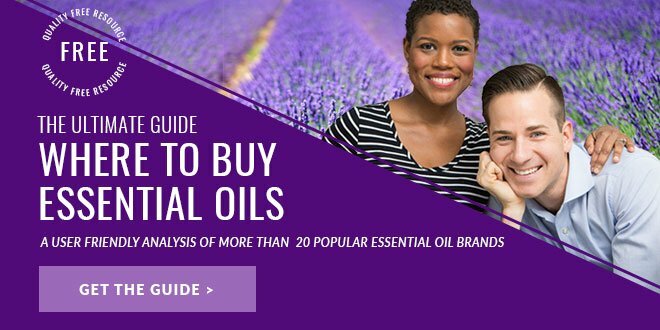 Essential oils are potent plant extracts that are wildly popular these days. Whatever your ailment is, there’s probably an essential oil for that. You can put them in creams or oils and apply them to your skin. You can inhale them as aromatherapy. You can even use them as an aromatic perfume. 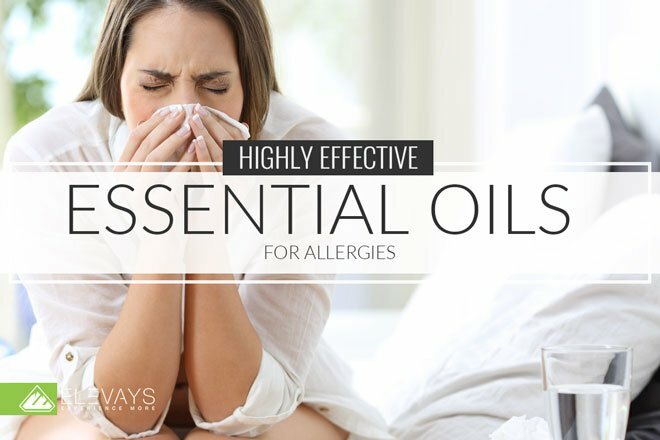 But by far one of the easiest ways to start using essential oils is with a diffuser. But what are essential oil diffusers anyway? There are many different kinds of diffusers in the market, but the basic idea is that either steam, heat or movement breaks down the essential oils into smaller particles and allows them out into the air (1). You know you need an essential oil diffuser if you want a natural, non-toxic way to freshen your home, perfume yourself or ease tension with pure plant extracts. If you’ve started collecting essential oils, diffusers are a great way to start working with them. Right now I’d like to talk about a simple way to get the benefits from essential oils throughout the day, no matter where you’re at. This is one of my favorite (and most stylish) ways to work with essential oils. Diffuser jewelry is such a fun way to get the benefits of essential oils when you’re on the go. Maybe you’re into bracelets and rings or maybe an essential oil necklace is more your thing. Either way, with so many different kinds of diffuser jewelry to choose from there is bound to be something out there you’ll love! Essential oil diffuser necklaces work by holding a few drops of essential oils in a stone, felt pad or piece of clay or glass around your neck and then slowly releasing them throughout the day. You can reap the benefits through the skin where the jewelry is touching or just by inhaling the aroma itself. There are a few different types of diffuser necklaces and the right one for you will depend on what style you prefer. Here are some of the best options out there (2)! For a funkier piece of jewelry that looks a little bohemian, try a clay design in a pendant around your neck. These come in many shapes and sizes and are usually tied around the neck on a piece of leather or string. To use these, simply add a few drops of essential oils to the clay and allow it to sink in. The clay absorbs the scent while also gently releasing it into the air as you move around throughout the day. Make sure you let it dry before putting on your necklace so the strong oils don’t seep directly onto your clothes or skin. If you want, you can even make your own clay diffuser necklace instead of buying one. Using terra cotta or white clay, mold it into any design you like and simply allow it to dry. Easiest craft day ever and they could make great gifts! Check out this article for more ideas and instructions on how to make your own DIY diffuser necklace. Lava stones are made from a porous rock and have lots of little holes in them. Like clay, they also work by absorbing the oils and then releasing them throughout the day. Just put a drop of oil on your finger and rub it onto the stone. There are many different kinds of lava stones to choose from, some come inside a pendant and some are simply looped through a necklace or bracelet chain. They make really lovely diffuser necklaces and are a bit more subtle than clay. These are the most common kinds of diffuser necklaces and you have tons to choose from both online and in stores. The pads are placed inside of a pendant that opens and closes. Just add essential oils to the pad, put it inside your pendant and enjoy the scent throughout your day. While clay and lava stones definitely hold the smell longer than a felt pad, these may be a more convenient choice. Why are the felt pads more convenient you ask? Well first of all, they come in many different colors to suit your mood. And secondly, because the scent is out after a few hours, you can switch up the essential oils depending on what you need them for. Maybe you want a little rosemary to sharpen your focus in the morning and a little lavender to wind down at night. With a felt pad that’s no problem, just trade it out as you wish. A leather pendant is not as common but still makes a stylish and more rugged looking diffuser necklace. Leather will last a long time as it’s such a durable material and it also holds the scent of essential oils for awhile, sometimes even all day. Just like with clay or lava stone, put a few drops of essential oils on the leather and let it soak in. Since it might come into more direct contact with your skin than felt pads, leather is a good material if you want the benefits of essential oils on your skin, not just as a scent. Now there is no best type of diffuser necklace, only the best type for you. So experiment with what’s out there and see what you like! You should you use an essential oil diffuser necklace if you want an easy way to get aromatherapy benefits all day long. It’s also a fun way to customize a perfume blend that will keep you smelling fresh for hours. Of course putting the blend on your skin works too, but that doesn’t last nearly as long (or get you as many compliments) as a diffuser necklace. You can also use one of these pieces of jewelry as a secret mood booster. 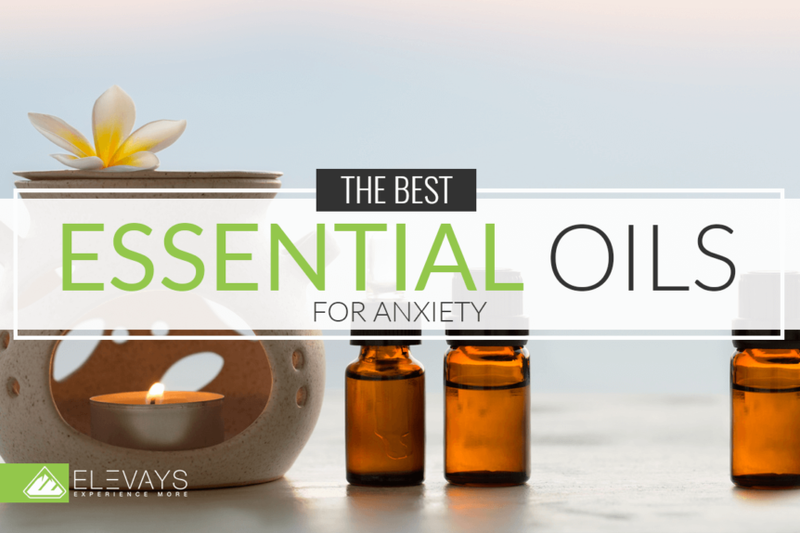 Certain essential oil blends are excellent for easing stress and lifting your spirits when you’re feeling low. Since jewelry is portable and can be worn all day, you can get the benefits of these essential oils no matter where you’re at. That means even in the school drop off line or in the waiting room of your doctors office. Speaking of doctors, you know that essential oils can help with nausea and other physical ailments right? This means if you’re wearing a diffuser necklace and feel a wave of nausea or motion sickness come on, simply put a drop or two of peppermint, ginger or lemon essential oil onto your necklace and breathe deeply for some relief. You may be wondering how you care for an essential oil diffuser necklace (3)? If you’re using a felt pad inside a pendant try not to put essential oils directly onto the metal, but rather remove the pad, put the essential oil on it, let it dry and put it back in the pendant. The felt pads can be washed as need, which you may want to do just to refresh it when applying new oils or scents. As you know metals can tarnish so keep your pendant in a cool dry place and use a soft cloth to wipe it down on occasion, just like you would with other jewelry. If you have a stainless steel diffuser necklace or one made of silver, you can even wash them with a little water and soap to keep them shiny. With leather, clay or a lava stone, you can put oils directly on them but don’t wear them in the shower or get them wet or sweaty. This could wear down the shape over time or even break it if your stone is made of clay. Here are some fun ideas for how to use essential oils with diffuser necklaces. Simply place a drop of each directly onto the clay, leather, lava stone or felt pad and allow it to sink in. Soon you’ll have a warm, fresh and floral scent. Some people aren’t into florals and that’s okay too. You can also get creative and find the scent combo that works best for you! Again just place the oils onto your jewelry of choice and wear it throughout the day to get all the stress relieving benefits of these essential oils. The blend you choose will kind of depend on why you’ve got the nausea. Peppermint is amazing for motion sickness or after eating a heavy meal. If you’re prone to nausea from travel, it might be a good idea to place some peppermint on your diffuser necklace before a big car trip. Bergamot, lemon and especially ginger, are great for pregnancy induced nausea. And since most medications are out when it comes to morning sickness, aromatherapy is a great alternative. To wrap things up, diffuser jewelry is a really fun and creative way to work with your essential oils. So if you’re into essential oils and you want a way to carry all their benefits with you on the go, try out some diffuser jewelry. Depending on the look you’re going for, this kind of jewelry doesn’t have to be a major investment, you can even make one yourself! Now, I’d love to hear from you. Have you tried essential oil diffuser jewelry? Do you have a favorite brand or oil blend? Please leave me a comment below and share your own experience or ideas!